Warner Bros. is looking for people that want to help shape the future of movies, TV shows, and video games. If that’s you, and you live in the U.S., get yourself on the A-List. For a limited time, you can join Warner Bros. A-List be one of the first people to share your opinion about new movies, TV shows, game, and other entertainment products. Known for working with celebrities, the A-List is an exclusive, members-only market research community. If you are accepted, you’ll serve on a team of special advisors to Warner Bros. as they seek to learn more about you and your views on entertainment. To see if you qualify for the A-List, you will need to complete a short survey that should only take about 15 minutes. 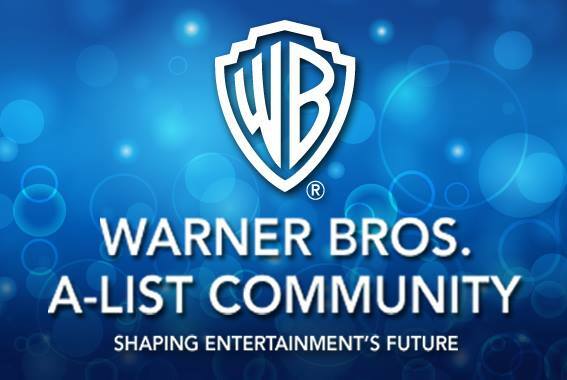 Spots in the Warner Bros. A-List Community are limited, so once you complete the survey, they will let you know immediately if you are invited to join the community. Click the appropriate join link for your age below to begin the survey. The Warner Bros. A-List Community is managed by Vision Critical, a global leader in online community panels.